Data center managers use virtualization for basic data center needs, such as server consolidation and disaster recovery, and much more. Data centers face new pressures to reduce costs, energy consumption and physical footprint. As a result, many have turned to server consolidation and server virtualization to address their pain points. Server virtualization has enabled data centers to reduce the number of physical servers running in their environments -- and thus hardware costs -- as well as improve server utilization and management. 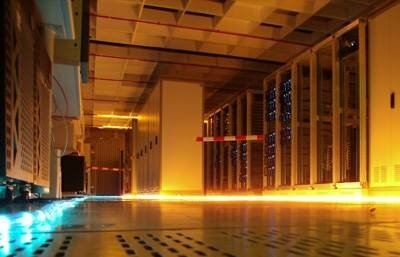 Data center energy-efficiency tactics have also become key to next-generation data centers. Data centers have moved to curb energy use through various tactics, including server consolidation as well as better data center design and cooling and power usage measurement. So too, next-generation, virtualized data centers have turned to the other backbones of their environments -- storage and networks -- to get the most out of virtualization implementations. This resource library on virtualized data centers assembles our how-to tips, news, guides and more on virtualized data centers. Today's data centers face the double whammy of increasing energy prices and an economy still teetering between recovery and recession. Forward-looking data centers have turned to various approaches to reduce their costs, from server consolidation and virtualization to data center design. So too, some data centers have also considered new lower-cost ways to manage their environments, including outsourcing and cloud computing as well as Software as a Service-based systems management tools. In this section on reducing data center costs, we explore virtualized data centers' strategies and tactics for reducing costs. If you've run out of room for more servers and data center space and budget are at a premium, check out these tactics for shrinking your IT footprint. Find out how to take advantage of data center cost-cutting methods, including infrastructure consolidation, OS and application rationalization, data center virtualization, and efficiency improvements. Server hardware cost comparison: Is virtualization cheaper? Virtualization's popularity is here to stay, but server hardware costs can be high. This tip compares the costs of eight small physical servers with one large server with virtualization. As the belt tightening among data centers continues, an expert shares tips to run cost-effective data centers and survive the downturn. Without the budget for systems management tools, data centers now consider Software as a Service-based delivery models for apps such as customer relationship management. Cash-strapped IT organizations have turned away from on-premises software and now favor the rapid software upgrades that come with SaaS-based options. For some time, virtualization has been used for core data center needs, such as server consolidation and disaster recovery. But of course, virtualization offers greater possibility than reducing the hardware in your server room. Today's next-generation data centers use virtualization for data center automation, business continuity and availability, improving data center energy efficiency, as well as curbing physical server sprawl and reducing data center costs. In this section of our guide on data center virtualization resources, we outline key considerations for virtualizing data centers, from virtualization planning and virtualization deployment to virtual server management and more. Proper preparation for a physical-to-virtual (P2V) migration can minimize potential risks to your business. Find out which steps a disaster recovery expert says are essential to avoiding unexpected downtime and other P2V problems. When virtualizing servers, a high consolidation ratio isn't always the most important factor. You must also consider the impact virtualization will have on memory and availability. As IT shops upgrade to new server hardware, a virtualized environment is often a key driver in the choice. When retrofitting or building a virtual data center, physical room design is more important than often assumed. Whether you're starting from scratch or have an existing facility, keep these data center design considerations in mind. Without close monitoring of a virtual environment, data centers can face costly virtual machine sprawl. This tip discusses how to manage virtual servers and prevent VM sprawl. This tip offers advice on designing a virtual environment, with strategies for power sources, rack and cooling design, and more. In the pursuit of expedited application delivery, next-generation data centers have changed the role of networks, which now function as computing systems and connections between components. How should you secure your virtual data center? Find out from the authors of "VMware ESX Server: Advanced Technical Design Guide" which common mistakes IT managers make when implementing virtualization and how to recognize the vendors that only pay lip service to the concept. Management software comes in different flavors. The best approach depends on performance, scalability and cost. IT managers previously ambivalent toward systems management software have gained newfound respect for these tools. Virtualization has changed server licensing, so it's important to understand your licensing obligations and risk unexpected data center costs. Don't expose your data center to security risks -- track all virtual machines, active or unused, on the network and avoid powering up dormant VMs that are not secured. While cloud computing may one day eliminate data center infrastructure from many enterprises, it has the potential to allow IT workers to focus their efforts on projects that add business value rather than production tasks. By combining virtualization approaches, you can address some of the more difficult data center management tasks. New multicore chips for servers can deliver significant performance benefits, but they may also introduce new virtualization licensing woes for IT shops. VMware vSphere is touted as the fundamental building block of the next-generation data center and cloud computing. But while the cloud is all the rage, VMware's vision of seamless migration of workloads to and from internal to external clouds isn't quite there yet. Hosting applications in the cloud can free IT managers to focus on improving business processes. This tip offers advice for companies transitioning to cloud services on choosing the best service model and provider, avoiding excess costs, and ensuring application security in the cloud. Fibre Channel over Ethernet brings many benefits to modern virtual data centers, but it is not a solution to the management of complex virtual environments. I/O virtualization may be a viable answer, as it is designed with virtualization in mind. A solid data management strategy is key to realizing the benefits of virtualization and avoiding increased complexity. This tip offers a step-by-step approach to managing data. Data center disaster recovery is key for any data center worth its salt. Many data centers have improved on their disaster recovery strategies through virtualized disaster recovery, which can dramatically reduce downtime for a fraction of the price required in replicating an entire data center. In this section, we cover various aspects of disaster recovery in data centers, from planning and testing to virtualized disaster recovery to data center colocation to virtualized storage area networks and more. A solid disaster recovery strategy is crucial to protecting an organization in the event of a disaster. This guide takes your data center through its paces on all aspects of disaster recovery planning and strategy, from basics to testing and more. Server virtualization can reduce the amount of time needed to complete full restoration, because a restore doesn't necessary require rebuilding servers, applications and operating systems separately. Here's how virtualization can aid a data center disaster recovery strategy. Virtual data centers have increased demand for data recovery, as virtualization exposes new data loss risks and opportunities for human error. Virtualization technology can be a solid addition to your disaster recovery and business continuity plan. An expert discusses the DR benefits that virtualization can bring to the table, including quicker recovery time and easier recovery at a DR site. These 10 items will pay dividends for your disaster recovery plan. Cloud computing will help with disaster recovery -- find out what to look for before using it in your plan. There are many factors to take into consideration before your disaster recovery plan can be successfully implemented. Expert Bill Peldzus offers a DR checklist to ensure your organization's bases are covered. IT departments face pressure to reduce costs and increase efficiency while also ensuring disaster preparedness. By performing a business impact analysis that determines recovery time and recovery point objectives, you can determine how many data centers you need for DR.
A DR plan that stays current with the times will need all company management on board for its success. Identifying physical servers to migrate to virtual ones is only part of the battle in virtualizing a data center. Successful virtualization deployments also hinge on proper storage. This Virtualization School covers storage virtualization options -- including iSCSI, network-attached storage and Fibre Channel storage area networks. In the first part of his look at VMware Site Recover Manager (SRM), Mike Laverick discusses why SRM is important, barriers to adoption and the tool's essential DR features. Part 2 of Mike Laverick's VMware SRM series covers more key features as well as the potential SRM has as a virtualization management tool in the future. This tutorial explores the three main virtual disk formats in VMware vSphere and how to determine the format of a disk before enabling a virtual machine for VMware Fault Tolerance. Virtual disaster recovery frees businesses from having to invest in remote sites and extra hardware. Find out how your company can benefit from outsourcing DR in this tip. The cornerstone of any virtualization deployment is the storage system, but there are some caveats to be aware of. Storage -- liberated from physical machines and living on a storage area network (SAN) that is completely virtualized -- has become a cornerstone strategy for data center disaster recovery tactics. Data centers stand at the forefront of the IT energy problem. While more powerful servers, greater bandwidth and high-performance networks have improved data center performance, they have only boosted the IT energy consumption problem. With changing economic, social and regulatory factors, data center energy efficiency has become even more important. Data center managers have turned to various tactics, from server consolidation to more effective measurements of power usage and cooling methods. This section on virtualized data centers considers the various challenges in achieving data center energy efficiency and emerging tactics to curb energy use. This guide covers strategies and tactics for improving data center energy efficiency through methods such as maximizing server efficiency, energy-efficient cooling and measuring power usage effectiveness. Cloud computing can reduce total data center energy consumption, says scientist Jonathan Koomey. In the face of breakneck data center growth, building a new facility may not be an option, so many IT pros will look beyond their own data centers to colocation and cloud computing. Virtualization adoption is widespread, but some application vendors haven't adjusted their licensing agreements to make sense in virtual environments. While many IT shops have opted for server virtualization to contain server sprawl and reduce power costs, others have turned to efficient hardware without virtual servers to address energy-efficiency issues. This slide show covers various ways for taxed data centers to mine unused power and improve energy efficiency -- including with server virtualization. Converging infrastructure and an increasingly fluid virtual server environment can easily spell problems for network infrastructure. So while server virtualization offers numerous benefits to data centers -- including greater flexibility, scalability and security -- you can't realize these rewards if your network can't handle the traffic requirements. Network problems and bottlenecks only grow as data centers build out their virtualization deployments. In this section on data center networking, we cover some of the principal networking problems for next-generation data centers and ways to address network traffic bottlenecks and to manage networks to serve user needs. Creating an effective data center network architecture is a tall order: How do you bring about an energy-efficient and cost-effective data center environment without sacrificing performance? Networking problems the next virtualization hurdle? Virtualization introduces new problems, such as higher network interface card density, increased network traffic and communication problems between physical and virtual switches. Cisco's new Unified Computing System platform can unify networking, storage and compute resources in virtualized data centers. How can IT shops exploit the benefits of this new converged virtual data center architecture? This tip explores how data center virtualization has changed networking hardware concerns. Granting priorities to some servers over others is important for high availability in a virtual environment, as is network redundancy and isolation.